This week we look at how to restore files backed up by File History, windows that just flash when you Start -> Run them, and what to to about programs that can't handle two-factor authentication after you've enabled it. There's also a new article out on Ask Leo! On Business that result from looking at the problems Snopes.com appears to be having, and how their situation might apply to you. Probably the simplest scenario is when you need an older copy of a file that still exists on your hard drive. Perhaps you made changes to it that you want to “undo”; perhaps the file was overwritten by something else; it really doesn't matter what happened. What you want is a copy of the file “as it was” at a specific time in the past. Fortunately, you had File History turned on, and the file you're concerned about was in one of the folders that File History backs up. I recommend using the restore options when retrieving a file from File History. The Open button also shown includes two options: opening the file directly from the backup without restoring it, and opening the file in File History, which we'll examine next. If the file you want to restore has been deleted, such that there's nothing to right-click on in the approach outlined above, or if you just want to browse around and see what File History contains, there's an alternate approach. At the top, the browser lists the current folder being examined. “Home”, the default location, is the folder located at “C:\Users\”. Now you can click the “Back in time” arrow to move into the folder's history. Previously deleted files may appear. Click on a file you want to restore, click on the green Restore button, and you'll have recovered the file from File History. When you set up File History, you control which folders are included, but as we've seen above, even if you were to have it attempt to back up almost everything (not recommended, due to disk space and time) you're limited to restoring individual files or folders only. Restoring your operating system or programs that have been installed via a setup program is simply not what File History is intended for. That's a job for a complete image backup. When I try to use “Start” and then “Run” to run a command the DOS screen flashes momentarily then vanishes. Am I overlooking something obvious? Not really. It's only obvious if you've been using PCs since before there was Windows, and before there was a GUI. Start-Run is incredibly useful, but it's not appropriate for everything. 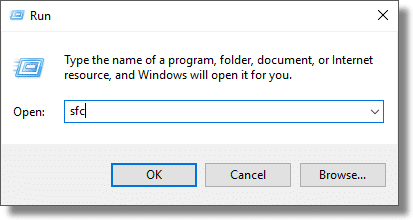 The good news is, there's a simple trick that covers it: run a Windows Command Prompt, and type your command into that instead. Continue Reading: When I Use Start-Run, Why Does a Window Just Flash and Disappear? It's no surprise, really, but most software (like desktop email programs) has no way to ask for, or enter, a second factor if your account is configured to require one. If you use such a program, you're not stuck. In addition to two-factor authentication, the industry has a pseudo-standard solution for just this scenario. It's called an application-specific password, or “app password”. Your online assets are incredibly valuable. It's critical to understand exactly why, and how much control you might be giving to the services and individuals you enlist for help. Tip of the Day: Have You Been Pwned? The 2017 Pacific Northwest Corgi Picnic was a great success. For the curious, you'll find links to any pictures taken by attendees that I hear of, and at least one "Facebook Live" video (you do not need a Facebook account to see it). 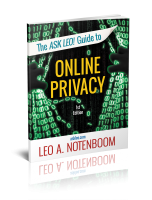 « Previous post: Ask Leo! #662 – Is Copyright Still an Issue If Something’s Not Available Anywhere?